Boston is known for its old brick buildings and numerous landmarks. Its historic charm is what attracts many people to visit and move to the area each and every year. Not only is Boston the perfect spot for history lovers, sports enthusiasts and foodies also gather here. Major League’s Baseball’s oldest stadium is located here. In addition, many award-winning chefs own restaurants in the city. If you can handle the high cost of living and traffic, then Boston is a dream. Winters can be rough, but if you enjoy hitting the slopes, there are lodges just a drive away, in neighboring states. Boston is also in a very convenient location, by road and plane. The airport is a 10-minute drive from downtown, without traffic. This makes it easy if you need to travel elsewhere in the country. 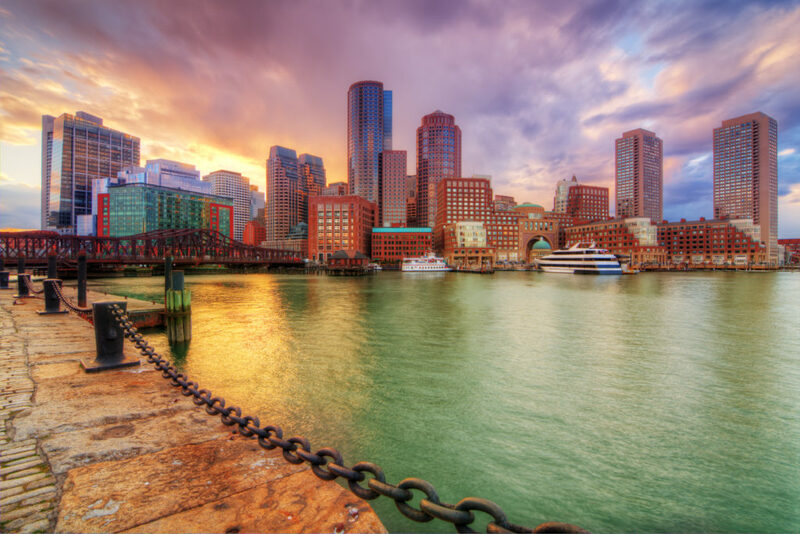 Are you convinced that Boston is the place for you? Are you already packing your bags? Slow down, and let us help you make the most of your transition to the city. Car shipping is the first place to start. Not only will you have one less item on your To-Do list, you won’t be bogged down with stress. Learn more about Massachusetts Car Shipping. At National Dispatch, we offer a wide array of car shipping services to meet your unique needs. We cater our services to meet your budget and timeline, as well, by offering different shipping time frames and carrier types. Open Auto Transport: This shipping method is the cheapest option available, as it is the most widely used. These open carriers are capable of holding up to nine vehicles at one time. Due to the construction of the carrier, your car will be exposed to weather and road elements. Enclosed Auto Transport: This method of transport is most popular among those who own classic, exotic, or luxury vehicles. These enclosed carriers provide a higher level of protection against external elements, which can be concerning for individuals who own high-end vehicles. The most popular reason that our customers use our services is in the case of a residential move. However, there are numerous other reasons why someone might be in need of our services. Here are just a few. Snowbird auto transport is a popular service that we offer. Snowbirds are seasonal travelers that temporarily relocate from their northern home during the winter to a warmer destination. If you come to find out that Boston winter’s are not your thing, then car shipping is an excellent option. With Boston’s large number of colleges and universities, education is high on the list of reasons to ship your car. Getting around campus is very beneficial. If you have a child that is going off to college, ship their car to school. You will have peace of mind, as driving long distances presents many hazards, with traffic, inclement weather, and breakdowns. When you are having a hard time finding a car locally, you are forced to look out of state. Then, you have the difficult task of figuring out how to get the car home. Instead of traveling to the car, have the car come to you. It will save you a lot of time. Learn more about How To Ship A Car To Another State. Before moving to Boston, there are some things that you might want to know, first. What is it truly like to live in the city? How much will it cost me? You will find these answers and more. The housing market in Boston is very diverse. There are properties ranging from the high $200,000s upwards to $2.5 million. While this may seem overwhelming at first, there is sure to be a property that fits you and your family’s needs. It is possible to live in Boston without being a millionaire. In fact, the unemployment rate is lower in Boston than many other cities, and the household income is higher than the national average. Therefore, there is still hope to live in your favorite metro area. As mentioned before, there are many different housing ranges, many of which are under $400,000. Another great thing about Massachusetts, is that there is universal health care. Just like any major city, Boston does have crime. It is recommended that you venture away from Roxbury, Dorchester, and Mattpan. Some of the safest neighborhoods are West Roxbury, North End, West End, and Brighton. Generally speaking, the west side of the city is safer than the east side. There are a lot of giving souls. Boston is filled with people who love to give. The locals rally around one another in times of crisis and in times of need. It has been ranked as the tenth most charitable metropolitan city in the nation. Boston is old, very old. Just because New England has the word “new” in it, it does not mean that it is in fact new. Boston was settled in 1630, and the city holds onto its historical roots. You will walk by some of the oldest buildings in the city, see Paul Revere’s house, or get lunch in the same meeting hall that the early settlers communed. The food is fishy. By fishy, we mean seafood. Boston residents love their lobster and clam chowder. Thankfully, there is an abundance of fresh and delicious seafood in the area. As a newbie, the language of Boston may be a little hard to understand. Boston residents have slang for words that typically do not have slang. Live in the city long enough, and you will catch on. Boston is a very smart city. Four of the ten smartest cities listed by Forbes were either a Boston suburb or Boston proper. Learn to drive in a roundabout. There are many roundabouts in the city, and locals suggest that new residents learn how to use them quickly. The best thing to remember is that the drivers inside the circle have the right of way. National Dispatch is a nationwide auto transport company. Like many companies in the industry, we offer a free quote on our website using our quote calculator. What’s different about our quote is that it is instant and does not require any personal information. Only four fields of information are needed to get a car shipping quote in seconds. To book auto transport services, call us at 800-321-2051. A move is challenging. Not only because you have to pack up everything and relocate to a new city, but also because you have to start over in your search for reliable businesses. Who are you going to take your car to when it is need of service or repair? Don’t worry, we have a list of recommendations in the Boston area, starting with a dependable mover.